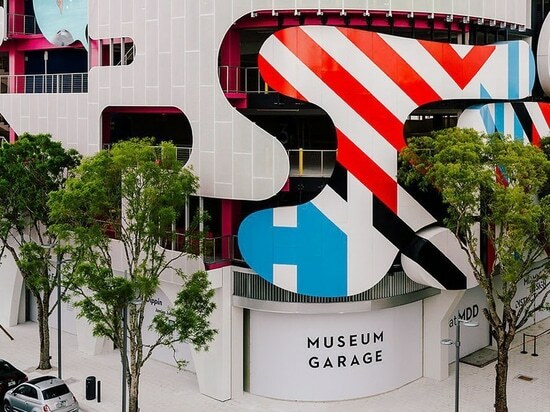 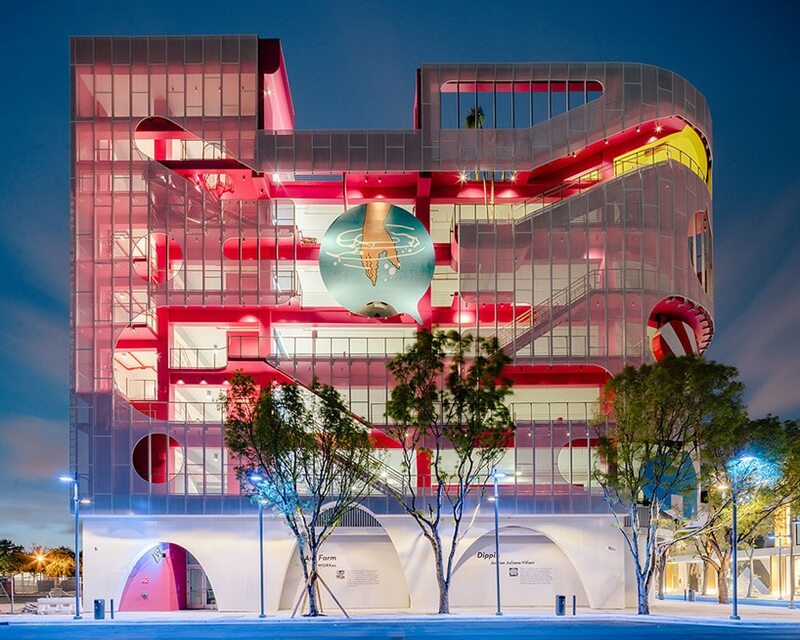 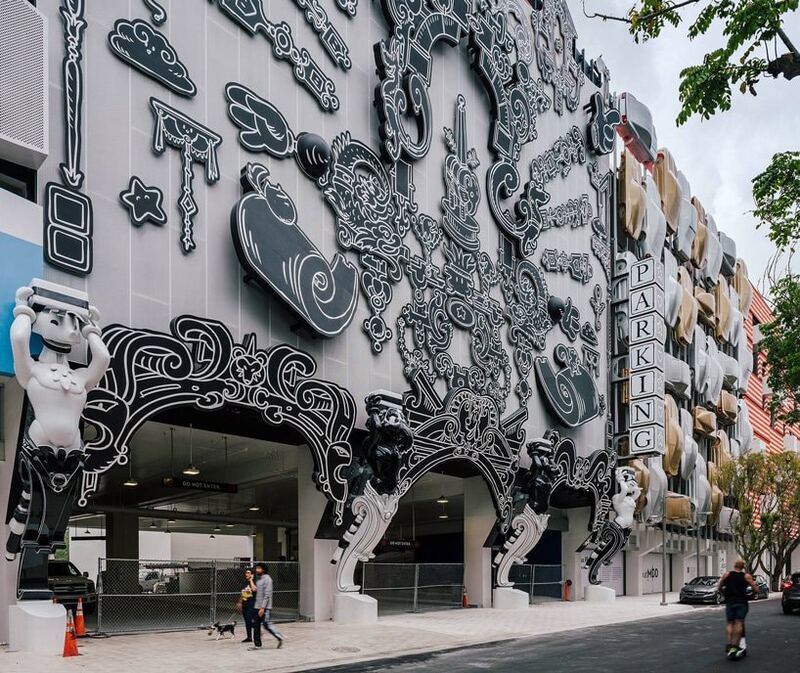 after more than two years of planning and construction, the seven-story, mixed-use ‘museum garage’ is now part of the miami design district. 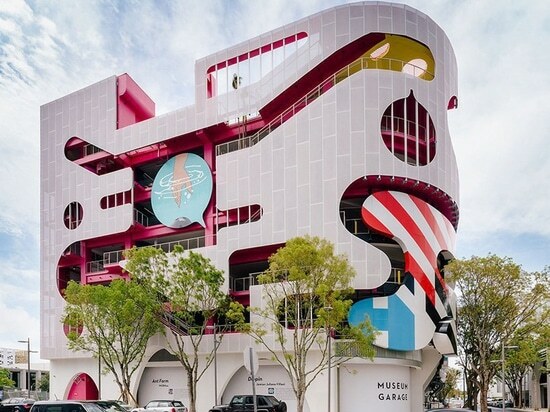 the structure’s facade, which constitutes its most striking feature, is composed of five individual and radically different pieces designed by WORKac, nicolas buffe, clavel arquitectos, K/R and j. mayer h.
terence riley of K/R architects drew from ‘exquisite corpse’ – a surrealist parlor game that encourages different authors to compose collective image collages independent of each other’s designs – to invite five architecture and design firms to contribute to museum garage‘s facade project. 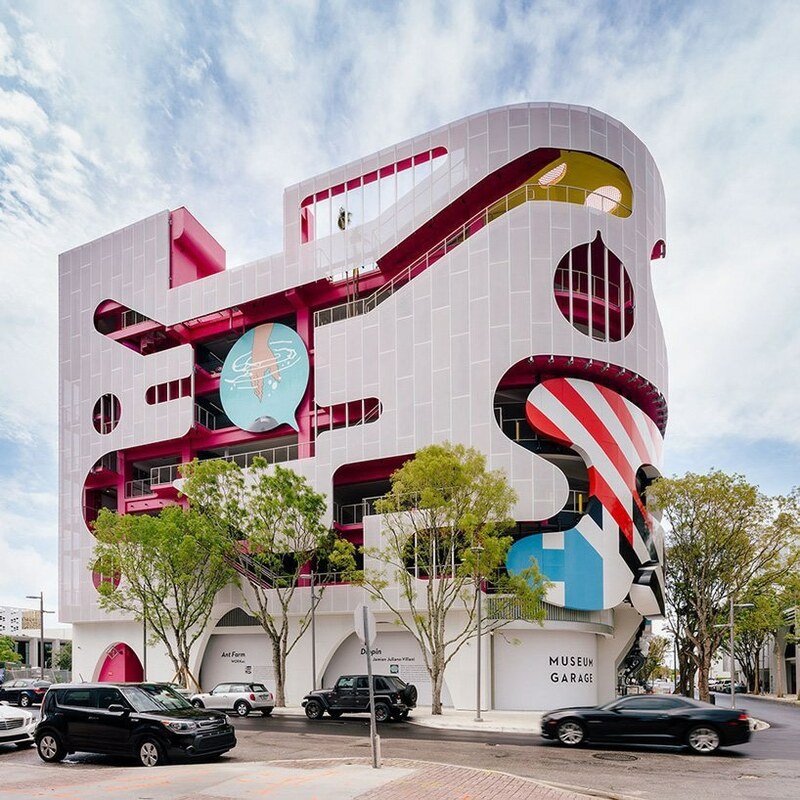 the seemingly unconnected designs create a multifaceted collage that acts as a unique, architectural version of the parlor game. 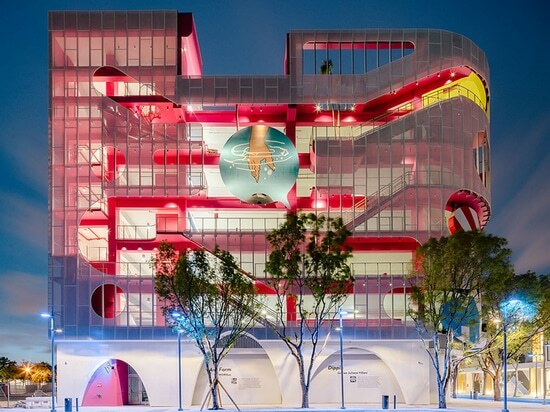 titled ant farm, the work of new york-based WORKac celebrates social interaction, sustainability, art, music, and the landscape. 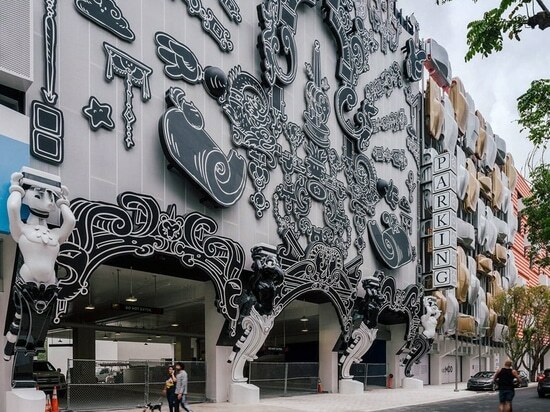 the facade features a perforated metal screen that frames human activity similar to that of an ant colony, revealing and concealing miniature public spaces such as a garden, a lending library, art space, and playground. 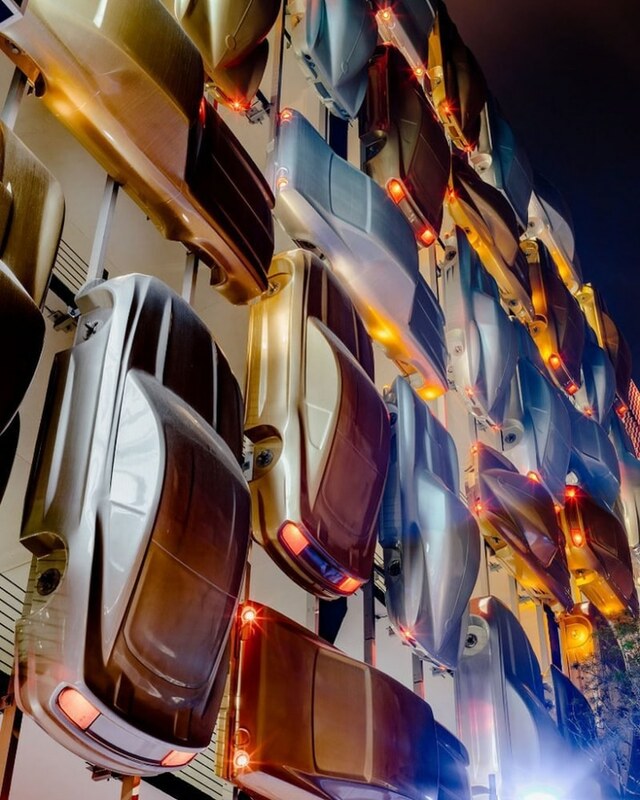 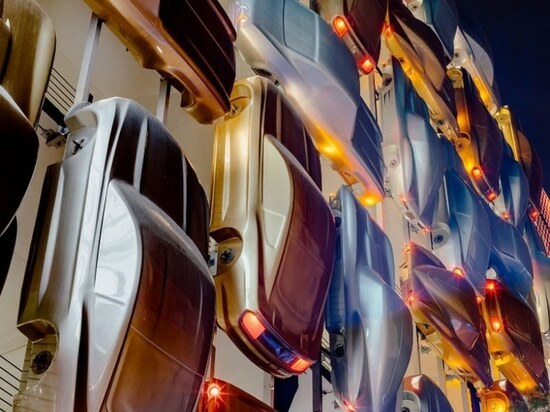 blending with the ant colony, berlin-based j.mayer h.‘s design ‘XOX’ includes gigantic interlocking puzzle pieces that recall the aerodynamic forms of automotive design with various patterns and forms.